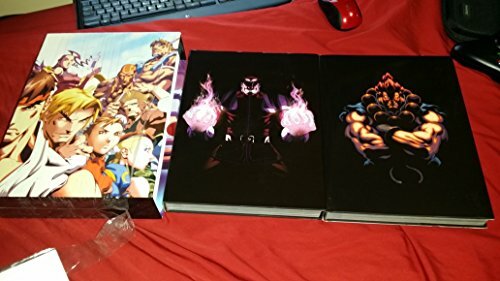 Due to popular demand, UDON is proud to present Street Fighter: The Ultimate Edition, the most complete and comprehensive collection of the original Street Fighter comic material to date, compiled in an oversized format for distinguishing fans who want to see Street Fighter action like never before! For the first time ever, every single guest backup story, bonus story (from Newtype magazine and the 2004 Capcom Summer Special), guest cover, powerfoil cover and even every side-splitting "Cheap Shots" short from the original series can be found in one convenient collection! The collection will also be presented in an oversized format for fans who don't want to miss even the smallest detail! There never was a better way to join in the martial arts adventures of Ryu, Ken, Chun-Li and the entire cast of World Warriors than the Street Fighter: Ultimate Edition.